Mr. Siddarth Gour, Founder and Director of Revolute Soft Solution, has over 12 years of industry experience. His experience ranging from Small Startups to Multi National Companies. He founded Revolute Soft Solution in 2007 and under his clear path guidance and approach, the company has distinguished itself as a provider of high quality services with 100% client satisfaction. 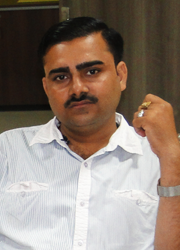 He has a bachelor's degree from Delhi University and have specialized course in IT Technology! 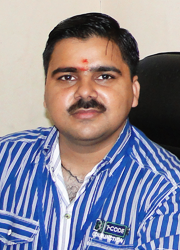 Mr. Aditya Gaur, Operational Manager of Revolute Soft Solution, has over 17 years of industry experience. Being a operational manager, He supported multiple project executions, products, services and brand and company launches. His various level skills and quick adoption of any industry knowledge, sometime even stunned Customers as well. He got recommendation from our clients from various industries about the same. He involve in various process of project execution starts from the Scope Discussion to final Delivery. His detailed analysis skills help to improve our service quality always. Must have experience in developing e-commerce portal. -Develops relationships with new and existing customers and provides information to maximize sales volume.